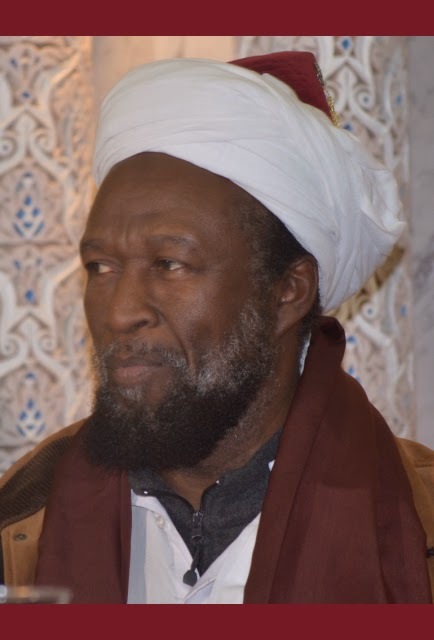 Sheikh Ali Mustafa Seinpaal hails from Suriname, South America, a former Dutch Colony; from a Christian, religious family. Sheikh Mustafa embraced Islam in 1966. After meeting Maulana Dr. Fazlur-Rahman Ansari (r.a) in 1969 in Suriname, he went to study at the Aleemiyah Institute of Islamic Studies at Karachi. Sheikh Mustafa graduated from the Aleemiyah Institute in 1974, the same year Dr. Ansari passed away. He obtained the Alim Degree: AD-DARAJAT AL-IJAZAH AL-ALIYAH. Shaykh Ali Mustafa in his website has published a number of lessons on Tasawwuf or Sufic Science of Islam. The first lesson of Tasawwuf is quoted here and the successive lesson links are provided thereafter. Tasawwuf is Spiritual Science or the science of Spirituality in Islam. It is the science of the Path to Allah. Tasawwuf is the science of conforming the Path of Islam through direct experience of the Real instead of through speech or learning from books. In fact, the Path of Islam is the Path to God-Allah. Tasawwuf is the essence of Islam and Religion. It is the basis and the proof of Religion. Without it, Religion is just dry dogma without any attraction, without any flavour. Tasawwuf Is The Science That Outlines The Different Conditions Of The Purification Of The Selves, The Refinement Of Character, Rectifying The Outward And The Inward So As To Attain Everlasting Happiness. Tasawwuf Is A Science Whose Objective Is Reformation/ Rectification Of The Hearts And To Single Out The Heart For The Remembrance Of Allah (And Its Dedication To Allah Alone). Tasawwuf Is Dedication To Worship [Ibadah], Devoting Oneself To Allah; Turning Away From The Adornments Of The World And Abstaining From Enjoyments, Wealth And Status [Pomp]. It is therefore logical that Tasawwuf should be, as it is, as old as Religion. Just as Islam, meaning Submission to the Will of God, has always been the only Religion of God-Allah, so also its inner soul or reality, Tasawwuf, has always been. The difference, however, between the Muslims of this last era and those of the previous times, is the finality of the teachings and Divine Revelation, which are given to this Ummah (Community of believers) and more than was given to those before. Yet the believers of earlier times will get their rewards. As for the followers of so-called other Religions, they became other Religions due to distortions brought about in the original Scriptures by corrupt followers or loss of the original teachings through natural disasters. The yearning for spirituality or the religious experience is a thing common to most human beings, not only those who believe in, or know about religion, but even those who are classified as primitive or their religion as unrevealed. This is natural and universal, because all humans have an inbuilt spiritual nature. One universal proof of this is the reality of dreams. True spirituality to the highest degree can be found only in pure Islam. The key to that reality is the holy Prophet Muhammad (Sollallahu Alaihi Wa Sallam). He is the soul of the universe and the Qur’an is witness to the fact that he alone, of all human beings, was invited by the Almighty Creator: Allah (Subhanahu Wa Ta’aala) to observe and witness divine truths about God-Allah and the spiritual world. The reality thereof is confidence and calmness in the heart and the realization that the sustenance of your physical body is from Allah alone. It is not from anyone other than Allah, nor by any of the debris of this world nor by any other cause. 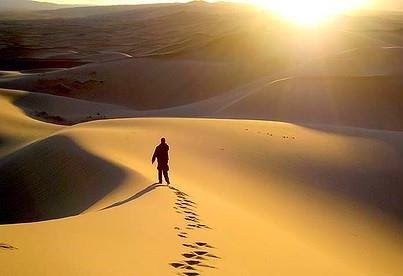 The sun that shines on us every day is a living testimony and proof of this, as no one makes the sun shine and no one has or could have put into the multifarious rays of the sun their diverse qualities, except Allah. That particular ray of the sun, which causes the photo-synthesis in the green leaves of plants, is the nourishment of all life on earth. What will help us towards understanding this is to remember that Allah guarantees us provision, and that His knowledge and power are perfect; that He is other than creation and far removed from forgetfulness and incapacity. To obey Allah while trusting Him is to abandon all sense of practical limitations, and to embark on the achievement of what Allah has ordered us to do. We obey Him not according to our opinions, but we obey Him according to His Command. We abandon the idea of being practical and we enter into the swift way of being obedient. Obedience only takes place with understanding. Tasawwuf is the light and the heart of the Deen, and without it our understanding of the Shari’at would be superficial. Tasawwuf enhances our possibilities because it gives wisdom and light to every situation in life. It enlightens us in difficulties and guides us in ease. Tasawwuf is incompatible with being a passive, docile consumer in this society with social evenings and weekends. Rather, Tasawwuf is the transformation of the heart so that one may realize that one is in charge of the Dunya (this world), and the Dunya is not in charge of us. It allows us to understand and realize that what Allah has ordered is possible, and it shows us the path to achieve our highest goals for the sake of Allah. Tasawwuf also allows us to understand that the deeds of the heart are more powerful than the deeds of the limbs. Tasawwuf renders all other sciences subject to the highest knowledge which is: LA ILAHA ILLALLAH [=There Is None Worthy Of Adoration Except Allah Alone]. With Tasawwuf we realize that knowledge of Allah is above every other knowledge. Tasawwuf allows us to realize that there is no power save by Allah, [Laa Hawla Wa Laa Quwwata Illaa Billah]. Those who are touched by this knowledge become different people and to them there are no barriers and no fears besides Allah. If these are the people you want to be, then Tasawwuf is for you. Basic Lessons on Tasawwuf or Sufic Science of Islam by Sheikh Ali Mustafa Seinpaal.